Every once in awhile, I stumble upon a day when the writing doesn’t come easily. I struggle with forming sentences into paragraphs. An hour of work ends up under a big, huge X. It’s cut. Because it’s wretched. I groan and sigh and roll my eyes at my own inane words. On days like those, I go to bed still satisfied. Because I put in the work. I wrote something. Anything. I showed up, even if what I did that day was less than okay. Writers have to develop a strong work ethic in order to finish novels/poems/essays/plays. 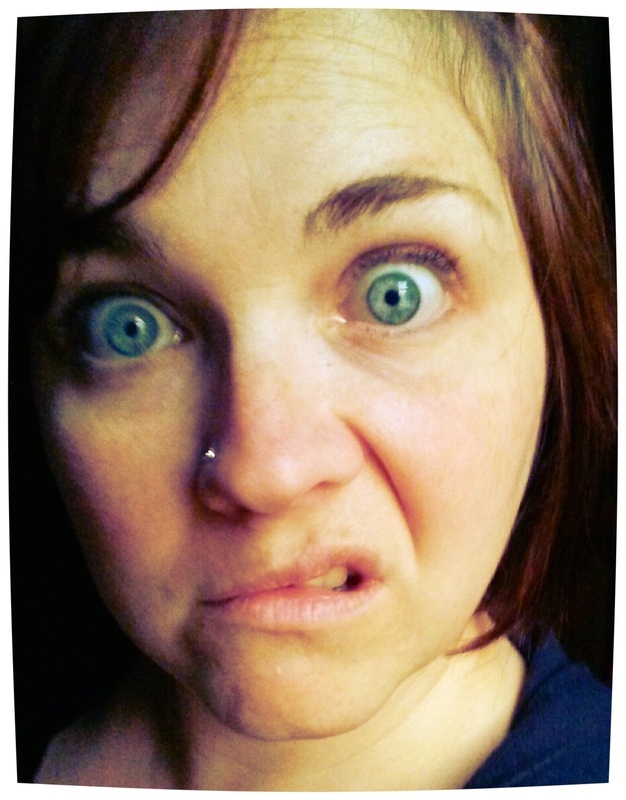 Can I tell you that I write every day because if I don’t I transform into a grumpy mama monster? And I write every day so that I keep myself sharp. To keep myself from getting out of the habit. I write every day because I love it. I’ve learned that I have to hold myself to a high standard of work ethics. No one is supervising me. I don’t have to punch in a time clock. If I don’t write, I won’t get fired (because I’m my own boss). But, if I don’t write, even a little, I’m missing a grand opportunity. I’m neglecting my craft. And, if I choose not to write, I’m choosing for characters not to come into being. I’m shutting down stories that need to be told. My neglect would mean the production of nothing. It would be disobedience to the calling I feel God has for me. 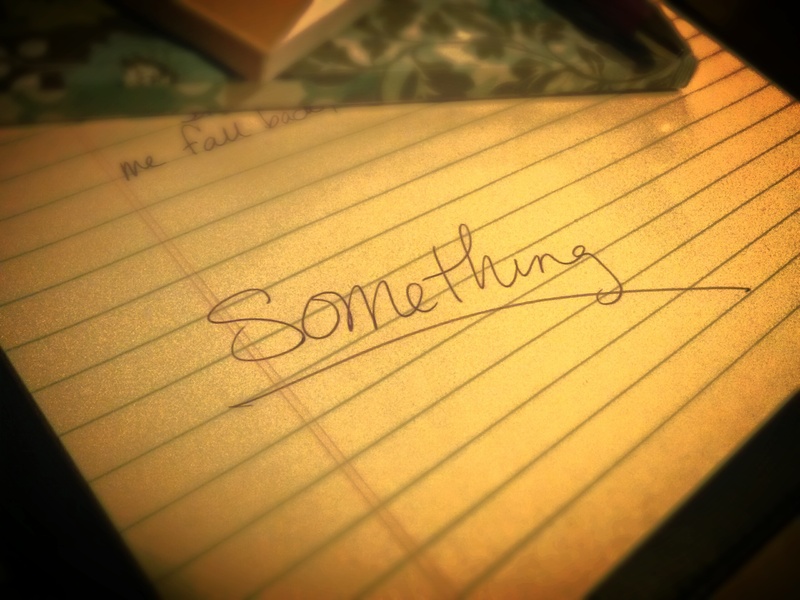 Even if, on the tough days, all I write is “Something”. What do you do every day? What keeps you motivated? I love to hear from you. And I super love getting ideas for how to keep moving along. You, my friend, are an inspiration. Crap – that sounds WAY too fluffy. It’s true, but still… Sorry. Can I have a do-over? Fluffy is always acceptable here, Cal! And thank you! Aaron, you should ask my kids about the grumpy mama monster! They’ll tell you! I wish their was a switch. Inspiration tada!! Sometimes their are oasis in the desert. Sometimes it’s just sand, a whole lot of nothing. But sooner or later you are out and back in the lush verdant land. Its the hope that each time I come to the page I’ll find an oasis or a garden. Something good. That is what keeps me going. I know it! I was in that desert a few summers ago. I still got something on the page every day. But it was no good. Nothing salvageable from June until the end of July. Still, I spent at least some time writing. It paid off with a lot of great inspiration that August. It’s crazy how that happens! Susie, you are awesome! I know I could never do what you do, kids would be a full time distraction. Ha ha. Well, let’s just say I’ve learned how to write for a few minutes here and there. Now that they’re in school, it’s a new game! This was wonderful to read. I’ve been blocked for the past couple weeks. I’ve been blogging my journal entries from a trip, but it’s not the same. Thanks for the kick-in-the-pants I needed! I’ve found that when I’m super busy or away from home, I struggle to get my work done. Those are the times I take a breath and give myself a good old dose of grace. It’ll come, Lex. I know it will! Plus, we’ve got a huge inspirational weekend coming. It. Will. Be. Fantastic! Following your example, we can write “something” every day!